When a cat wants to eat its own kitten it accuses them of smelling like rats. I often hear them accuse Israel of Judaizing Jerusalem. That’s like accusing America of Americanizing Washington, or the British of Anglicizing London. You know why we’re called ‘Jews’? Because we come from Judea. 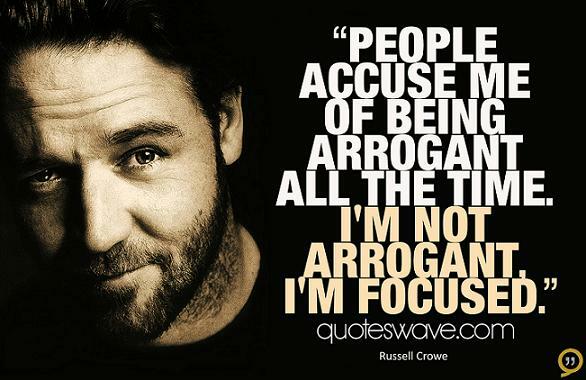 People accuse me of being arrogant all the time. I’m not arrogant, I’m focused. Some people accuse the new generation of being ignorant, maybe ignorant for the old generation, but it’s a new language. I am damn good. I am doing all this for Egypt and nothing else. I reject 70 per cent of media interviews while these people who accuse me are running after them.